Strawberry Swing and other things: 2011! 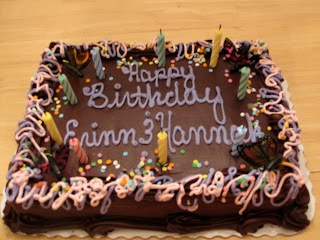 As crummy as the end of 2010 had been, I did get to say adios with family and birthday cake. We spent New Year's Eve up in the Poconos with my dad and step family and then yesterday some friends came over to eat pizza, ice cream cake, and catch up for my birthday. Not all of 2-7 was doom and gloom, actually 27 was pretty great (just go back through my archives!). I'm excited for 28 and what 2011 will bring. Also, I never had a chance to make a bunch of "Year End" lists, but since I'm pretty behind on my blogging, I'm sure I'll catch up in the next week or two of all my favorite things. This post is short and sweet, just wanted thank you for hanging around the last year and to wish all of you the best in New Year! Happy Birthday and Happy New Year!!! Wishing you all the best! 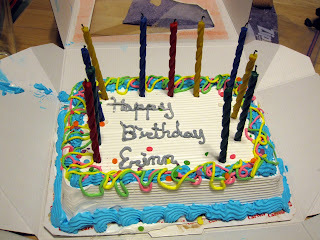 Happy Birthday E! Hope 2011 is amazing for you. Happy Bday and Happy New Year!